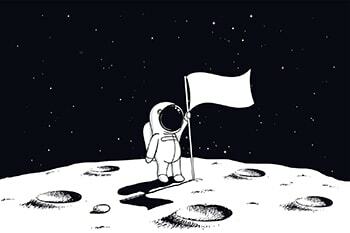 Space law, a form of international law, took flight following the 1967 ratification of the Treaty on Principles Governing the Activities of States in the Exploration and Use of Outer Space, Including the Moon and Other Celestial Bodies. Innovative in many regards, space law attempts to place regulations upon bodies which have not yet been nationally appropriated. Unlike laws governing the terrestrial or aquatic landscape of Earth, space law is restricted to ensure only peaceful activities transpire. Space law has challenged the expeditious nature of technological developments, securing a legal platform which supports and encourages the evolution of both scientific and economic activities alike. Since 1967, tremendous leaps have been made on the international scale to secure multi-party agreements which enable the optimization of exploration and utilization of outer space. This surge of interest triggered international organizations such as the United Nations to create the UN Committee on the Peaceful Uses of Outer Space and enact treaties which dually maintain international peace while encouraging the development of international space law. 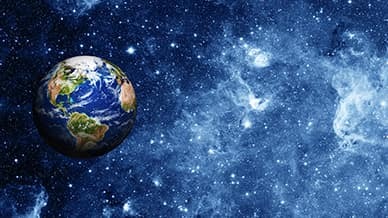 This article examines a variety of international and national space laws with enactment dates spanning from 1967 to 2018, including the recent efforts announced by the UAE Space Agency. There are currently five United Nations treaties on outer space. Of these treaties, the UAE is a signatory of the Outer Space Treaty 1967, Liability Convention 1972, and the Registration Convention 1975. Outer space exploration is to be performed with the intention of benefitting humankind and all countries. The investigation of outer space is free for all States to use. Outer space cannot be claimed by state sovereignty or by means of use. Weapons of mass destruction are not to be placed in outer space (this includes in orbit or in a celestial body). Usage of Celestial bodies and the Moon are to be for peaceful purposes only. Astronauts are to be considered envoys. National space activities are the responsibility of the States. States may be held liable for any harm or damage which transpires as a result of their space objects. The contamination of celestial bodies should be avoided. Immediately notify a launching authority of spacecraft personnel’s injury, accident, or condition of distress. Take steps to rescue spacecraft personnel and render necessary assistance. All assistance provided must be reported to the Secretary-General of the United Nations. Inform the relevant launching authority and Secretary-General of the United Nations when a space object or its parts have returned to earth. Entered into force in 1972, The Liability Convention served as an extension of and elaboration on Article 7 of the Outer Space Treaty. Under the Convention, any launching State is “absolutely liable to pay compensation for damage caused by its space object on the surface of the earth or the aircraft in flight” (Article 2). Similarly, as per Article 3, if damage occurs to a space object of a launching State that is not on earth’s surface, a State will “…be liable only if the damage is due to its fault or the fault of persons for whom it is responsible.” The Convention also includes the settlement procedure for damage claims. A designator of the registration number or the space object. The location of launch and the date. Considered one of the most politically involved space exploration programs ever initiated, the International Space Station is coordinated and operated through international partnership. The International Space Station assembles globally distributed launches, training, engineering, launch vehicles, communication networks, scientific research, and international flight crews. Launched in 1988, the International Space Station involves the collaboration of the European Space Agency member states, the United States, Canada, Japan, and Russia. The International Space Station’s legal framework is built off of the International Space Station Intergovernmental Agreement 1998, four Memoranda of Understanding, and several bilateral implementing arrangements. According to Article 5 of the Intergovernmental Agreement, “each Partner [State] shall retain jurisdiction and control over the elements it registers and over personnel in or on the Space Station who are its nationals’.” This extension of national jurisdiction recognizes the Partner States’ respective laws and courts. Should a conflict occur between multiple Partner States, disputes may be resolved by employing national and/or international rules and procedures. The Intergovernmental Agreement prohibits the Partners from filing claims against one another resulting from activities within or related to the International Space Station. Article 2: The International Space Station’s legal framework is to be governed by international law (such as the Outer Space Treaty and the Rescue Agreement). Article 15: The costs associated with fulfilling the Agreement responsibilities must be undertaken by each Partner. The Partners are to attempt to minimize both the operating costs and the exchange of funds of the Space Station. Article 22: Partners hold criminal jurisdiction over personnel who qualify as a respective national. Established in 1958, NASA is an independent agency of the United States Federal Government. The administration is tasked with the U.S.’ civilian space program and aerospace research and development. Thus far, NASA has been responsible for the launch of 166 manned space missions. The most famous and publicized of their missions was the 1969 Apollo Mission, during which, Neil Armstrong became the first man to stand on the Moon. Numerous NASA directives have been passed, the most recent being Space Policy Directive 1. The Directive, approved by President Donald J. Trump, aims to provide for a U.S. guided mission permitting humans to return to the Moon, then Mars, and beyond. As per Section 1 of the Directive, the U.S. space policy intends to “lead an innovative an sustainable program of exploration with commercial and international partners to enable human expansion across the solar system and to bring back to Earth new knowledge and opportunities.” The United States has currently ratified 4 out of the 5 international treaties aforementioned and has formed a variety of active international agreements with countries such as Australia, Canada, Saudi Arabia, and the United Kingdom. In 2008, NASA and the Indian Space Research Organization (ISRO) enacted the Framework Agreement for Cooperation in the Exploration and Use of Outer Space for Peaceful Purposes. The Framework Agreement aimed to form a cooperative pact between the U.S. and India with the intent of exploring and using outer space peacefully, “…in areas of common interest and on the basis of equality and mutual benefit” (Article 1). The Agreement consented to support in the areas of earth science, space science, exploration systems, space operations, and other areas of mutual interest. Since the enactment of the Framework Agreement, the two parties have announced the NASA-ISRO SAR Mission (NISAR). The mission is designed to assess and measure ecosystem disturbances, natural hazards, and ice-sheet collapse. As a result, the mission is anticipated to aid in better understanding the planet’s climate change process. JAXA is the product of the merger between the Institute of Space and Astronautical Science (ISAS), the National Aerospace Laboratory of Japan (NAL), and the National Space Development Agency of Japan (NASDA). As the primary agency guiding Japan’s aerospace development, JAXA performs a variety of operations, extending from utilization to research. JAXA’s projects have been predominately conducted through international collaboration. In 1969, Japan and the United States commenced the Japan-U.S. Joint Communique. This cooperation has resulted in JAXA’s participation in international projects alongside NASA. Japan is a Partner of the International Space Station. Beyond forming space development relations with the U.S., JAXA is also partnered with the Canadian Space Agency, the European Space Agency, and the Russian Space Agency. Article 19: The State is to take the necessary steps to encourage international cooperation and coordination to bolster research and development. Article 22: The State is to make efforts to develop, education, learning, and public relations in respect to space development and use. 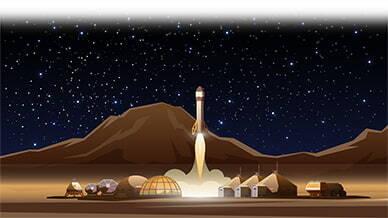 Article 24 of the Basic Space Law required the Strategic Headquarters for Space Development to create a Basic Plan for Space Policy. This Plan was enacted in 2009 and represents Japan’s first policy relating to space activity. Together, the Law and Plan are founded on six fundamental principles: the improvement of livelihoods, peaceful use of space, industry advancement, human society progression, protecting the environment, and international activity contribution. The UAE has recently made monumental steps toward developing its national space sector. Setting regional precedence, the UAE Cabinet approved a new space law in September 2019. Although novel, this law remains in accordance with federal policy and UAE sanctioned international conventions. Providing legislative standards for regulating the operation of future projects committed to international space exploration, the new law stresses the importance of innovative engineering through supporting and unifying academic and research initiatives. The law is anticipated to stimulate investment, research development, and provide competition at an international level. The UAE Space Agency, which is tasked with overseeing the nation’s space sector development, has highlighted five fundamental regulations which are necessary to regulate the nation’s space sector. These include regulations on registration, accident and incident investigation, authorizations, auditing framework, and activities relating to human space flight. The UAE has signed an implementing arrangement with NASA. This cooperation will enable the UAE Space Agency and NASA to evolve its capabilities on earth, in low-earth orbit, and beyond. The arrangement outlines the collaboration between the two entities across a range of areas relating to space exploration and human space flight. The arrangement will permit UAE astronauts to receive training from NASA and utilize the International Space Station. This project will send the first Arab and Islamic probe to Mars. The mission will commence in 2020. Hope Probe has been overseen and funded by the UAE Space Agency. MeznSat is a satellite which has been constructed to detect the atmospheric concentration of Greenhouse Gases. The satellite will launch in 2019 from Japan and will be monitored and analyzed by UAE students.